Wow……today was the day we all dream of. 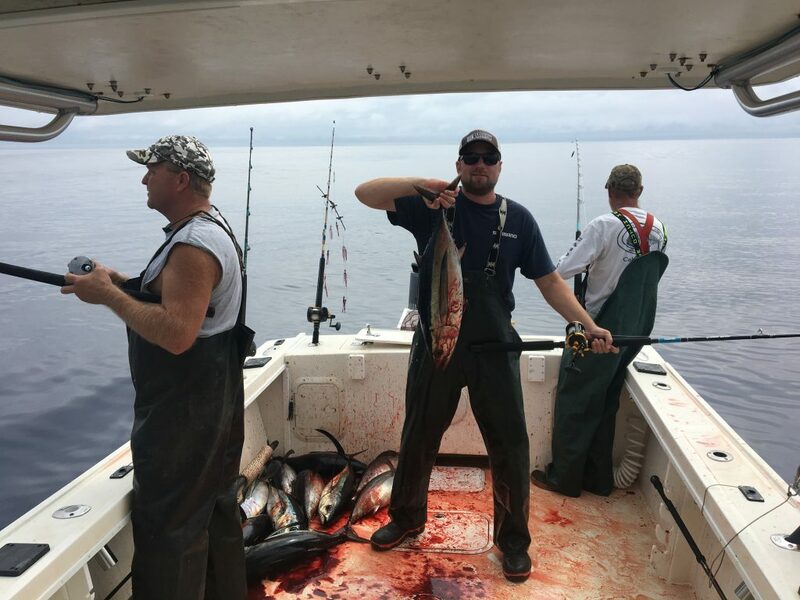 flat ocean and lots of albacore, they didn’t bite all day though, in fact we only had 7 by 1000 then by 11 we had 33 and by quitting time we had 57 and if we stuck with trolling we could have really loaded the boat even more. We had a blast getting them on live bait, irons, and swimbaits. Great company and great weather and fishing. I’ll be running more tuna trips through oct so call or text or email, to get on the tuna list if u aren’t already or haven’t talked to me in a year or two about it.